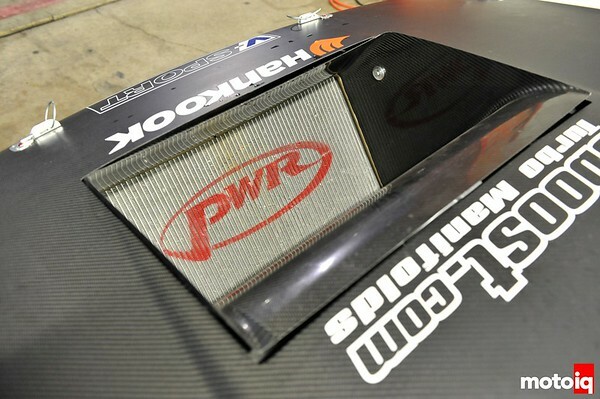 The intercooler and radiator are both PWR units and are ducted directly from the nose to exit here at the hood. 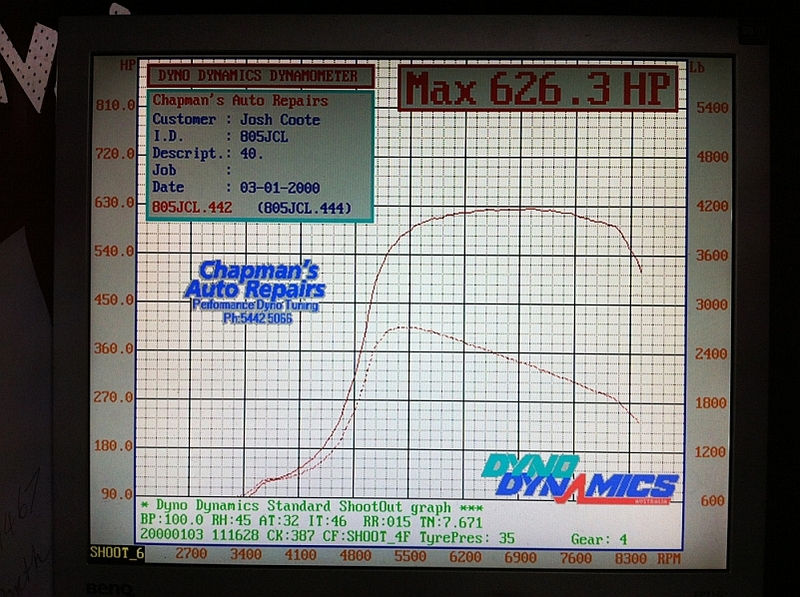 626.3 hp at the wheels at 33 psig on E85 is pretty healthy. All of this is orchestrated with an Autronic SM4 ECU. 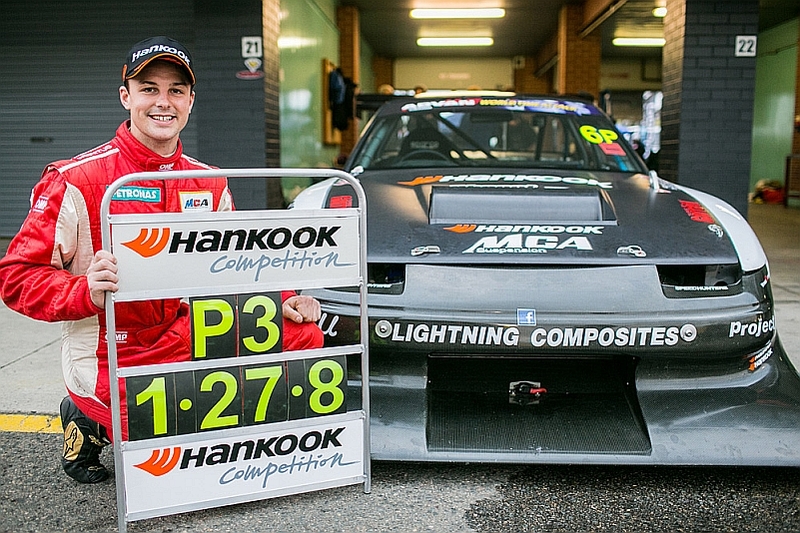 I suspect MCA may need a bit more power if they plan on chasing the AWD cars. But then again, there's always a little feature called traction control that should help if implemented effectively. Love or hate the way it looks, the MCA Hammerhead is FAST. With more development it will only get faster. 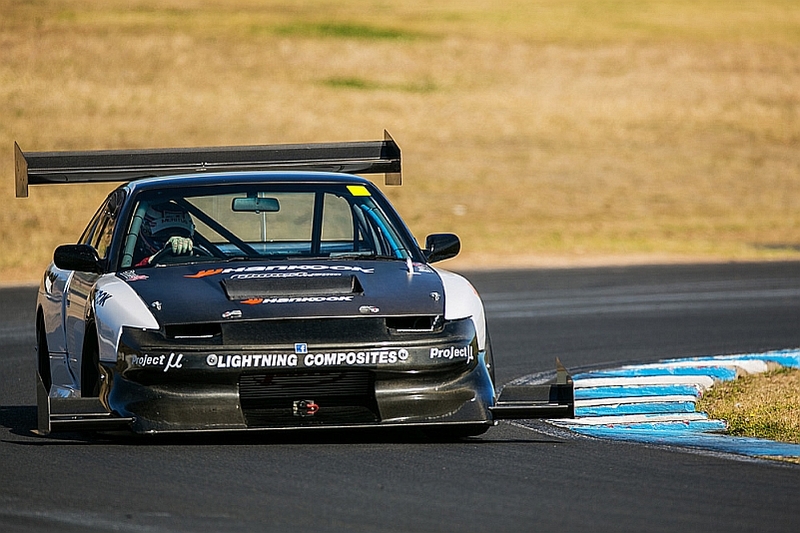 It will be interesting to see what MCA has planned for WTAC 2013. Make sure you plan a trip to Sydney for WTAC 2013. The event has been moved to October 18 and 19th to ensure better weather. Here's Earl Bamber with the official P3 photo. The funny thing is that Earl was born in 1990 which means he is the exact same age as the MCA S13. Anyhow, with a 1:27.8 lap time, that's over 1 second faster than the CyberEVO's winning lap time in 2011. And I'll leave you with a goodbye with Murray and Josh Coote. After all their hard work, you know you want to give them a thumbs up too! 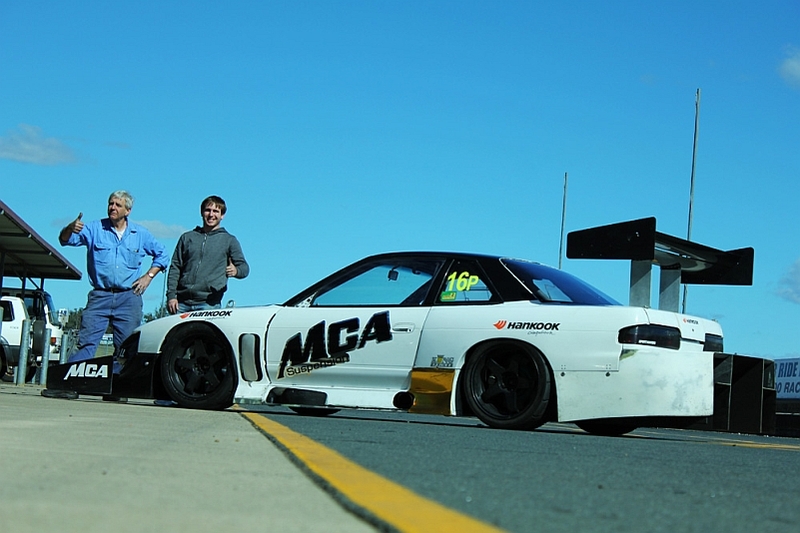 Keep your eyes on the MCA at WTAC 2013 because I think the team will definitely be back with some tricks up their sleeve. With Murray's extensive experience in racing, anything's possible. Just be sure to look out for the Team America GT-R first!